Transforms the paint sprayer into a rolling system for increased versatility. Using the roller kit is four times faster than a traditional roller while eliminating the mess of a roller tray. Pressure rolling is ideal when spraying is not possible. 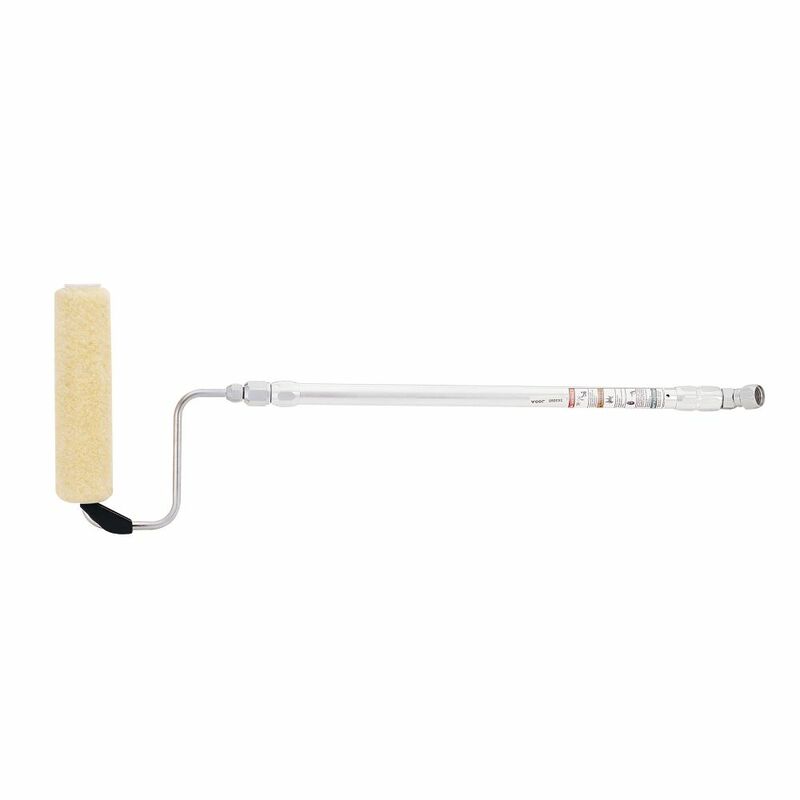 The Pressure Roller Kit includes a 9 inch stainless steel roller frame, 45-degree paint gun adapter, 20 inch extension, and 1/2 inch nap roller cover. Pressure Roller Kit Transforms the paint sprayer into a rolling system for increased versatility. Using the roller kit is four times faster than a traditional roller while eliminating the mess of a roller tray. Pressure rolling is ideal when spraying is not possible.